I recently read that only 44% of businesses survive the first 5 years! 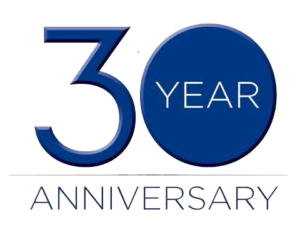 That gives D&A a great reason to celebrate in 2019 – our 30th year. I didn’t think running my own business was a good fit for me. In fact, I was deep into a job search when someone suggested it to me. I was very clear about why it wasn’t a good idea but re-framing the proposition and looking at why it WAS a good idea, (obviously) changed everything. I’ve learned a lot along the way and periodically over 2019, I would like to share that with you and reflect on those things for myself. I owe a debt to the Wharton SBDC: David Thornburgh, Stephanie McAlain and Clark Callahan (who worked there then) and Anne Dunlap (who was my MBA consultant) and to Robert Borghese Esq. They helped me chart a path that worked then and works now. Clarity Counts – Once I could answer the question “What is the purpose of what you do?” I could figure out everything else. What services do I provide? What don’t I provide? What do I bring to this that makes me different from the competition? What motivates me to do this work? How do I do business? No matter what motivates you, you should be clear about why you do what you do. Work with Those With Whom You Want to Work – While you may be able to work with anyone (and when you are hungry you may not have a lot of options about the folks you work with), I have learned that good chemistry makes working together better. It may take a while for the relationship to ‘gel.’ They may never be someone you’d share a meal with, but there is not much that makes up for mutual respect. Huge amounts of money is great but spend some time weighing if the cash flow is worth the discomfort of someone’s ethics or how they treat or talk about others. Create your own litmus test and if you see any ‘red flags’ – pay attention. Create Boundaries with Work – Your business serves you and your clients, but it is not your whole life. Unrealistic demands that negatively impact your health and your personal relationships are often self-created and self-imposed. There is always something that work requires – it’s a lot like a new baby. Set boundaries and manage client expectations. Limits create the parameters within which you can become consistently productive. Set Realistic Business Goals – Aiming high is good but be realistic about what you can accomplish. You should have a plan for both best case and worst case scenarios. Network – With Focus – Before you meet with anyone, find out what they want to talk about and if that is the best use of your time. Go to meetings, conferences and events if there are tangible benefits to attending (the people you want to meet, the topics you want to discuss). Determine how much time you can dedicate to networking and then keep to the limits you set. Give Credit – Acknowledge the efforts of the folks who have helped attain the result. When you recognize the efforts of others, their respect for you will increase. I continue to help people produce powerful results and I am still challenged – which I like and enjoy. It’s never dull – which may be one of the things that makes 30 years go by in the blink of an eye. This entry was posted on Tuesday, January 22nd, 2019 at 3:31 pm. Both comments and pings are currently closed.